WOW! 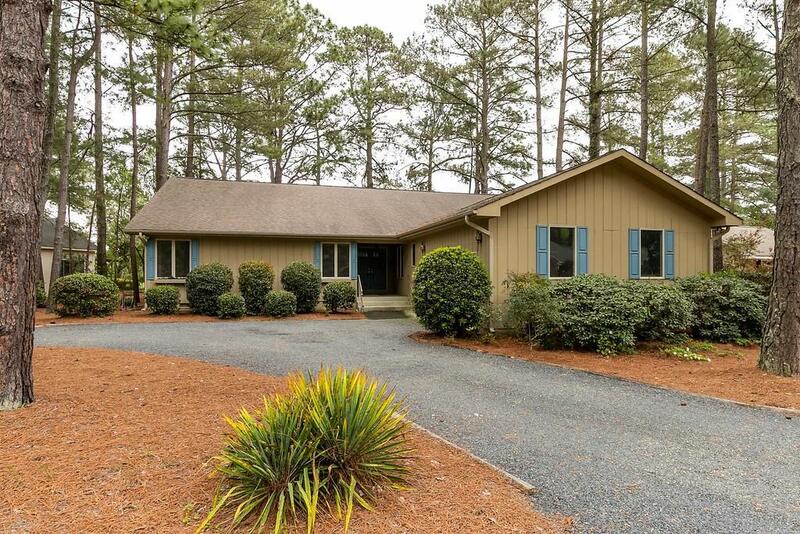 Golf front Pinehurst #3 course house with plenty of space. 3 Bedrooms, 2.5 bathrooms with an open kitchen to the eating area and family room with a fireplace. There is also a formal dining room and living room overlooking the fenced back yard and golf course. Enjoy sitting outside either in the screened in porch or back deck and enjoying an alfresco meal or coffee in the morning. This lovely home has plenty of space The master bedroom has a walk in closet, master bath and entrance onto the screened porch. To the right of the front door is a large bonus room with half bath, laundry area and a extra large closet for storage. There is a 2 car garage with a work bench and a circular driveway. This lovely home is minutes to shopping and Pinehurst Village. Transferable PCC membership.